Do you know what skoolies are? If you’ve never heard of food skoolies before or tasted what they have to offer, then prepare to go to school because class is in session! In simple terms, a skoolie is a bus that has been converted and repurposed. Because of the increasing popularity of food trucks, many old school buses are seeing a life extension by being converted into rolling restsaurants or food skoolies. School buses are large and roomy. They have enough internal space to accommodate all the kitchen equipment and other things needed by a food truck to operate. School buses can be bought at a lower price when compared to other types of vehicles. 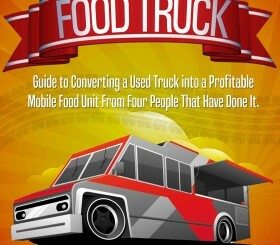 This is an important quality since most food truck business owners have a tight budget. The setup of school buses is ideal for a food truck business, making refitting it a lot easier, as compared to when using other types of vehicles. It has large doors and windows for example. School buses are part of a fleet and as a result receive regular and consistent maintenance. When a vehicle has been taken care of it will generally run longer. The extra space on a bus can be utilized in a variety of ways. Some mobile food vendors take advantage of the extra storage space for food items or expand their menus. Others have installed seats and tables on-board their bus so customers can enjoy a meal inside the unit. This can offer a huge advantage to vendors operating with other food trucks in the event their is rain, wind, or other undesirable weather forces customers to retreat indoors. With those advantages, it is easy to see why a lot of food truck owners are opting to get old school buses and turning them into food skoolies. As you can imagine, most school buses have seen many years of service. While the routes that they are used on are not that rough, the constant use can take a huge toll on the vehicle. So, who usually operates food skoolies? Any food truck business owner can resort to using a converted food truck for their business but not everyone will do so. Some business owners prefer to use smaller vehicles as it is easier to manage. The Old School BBQ Bus is a great example of what a skoolie business can be. Mark is the owner of this food truck and he is also the person behind the famous Eccles Cake Burger. He says that he always loved cooking a little barbecue and he was tired of having to work for someone else. So, he decided to turn his hobby into a career. He admits that it was a scary decision but he kept at it. It was also scary for him driving the bus for the first time, because he has never driven something like that before. About his kitchen, he says that he has got more space when compared with other trucks. His bus is quite long after all. The main problem is the heat since it has little insulation. The owner Old School BBQ Bus has inspired a lot of entrepreneurs out there who are thinking about starting a food truck business. One would-be-entrepreneur checked out the available school buses from a local business. He was able to test drive several vehicles but at the end of the day, he went home empty-handed because most of the buses needed a lot of work before he can take them home. Others warned the entrepreneur to be careful about purchasing anything from that local dealer as the vehicles that they showed him didn’t sound too great. They warned him specifically to stay away from buses with a lot of rust. At the end of the day, the people who end up operating food skoolies are every-day entrepreneurs who are seeking to serve memorable food while pursuing their dreams. Who Converts Buses into Skoolies? The next question is who does the actual conversion of the food trucks for the business owners. For best results it would be best to let specialists to take care of the project. Caged Crow Customs specializes in building custom vehicles for businesses like food trucks. They have the capability and the experience to build trailers from scratch but they can also work on vehicle conversions, which are what skoolies are. 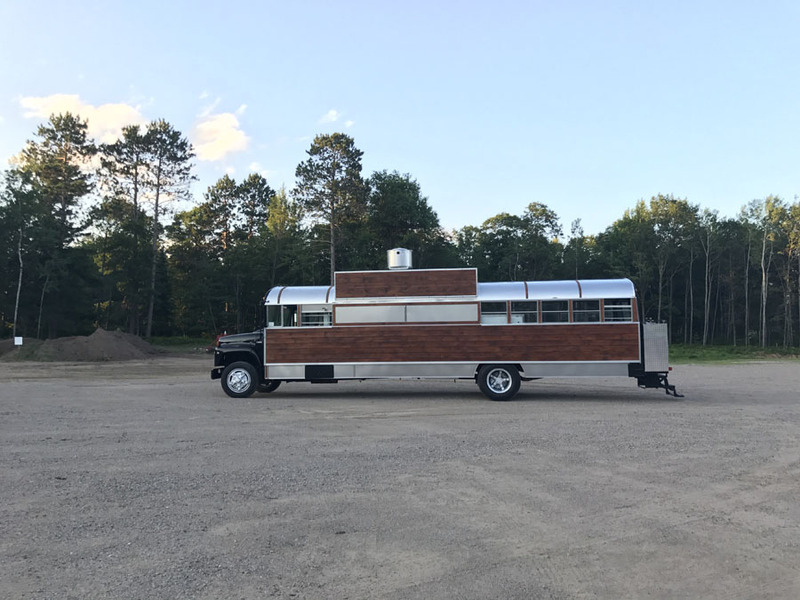 They were able to work on converting an old school bus into a food skoolie. This time, the business owner had something more than just a simple food truck in mind. He also wanted the skoolie to help give customers a fine dining experience, because that was the concept behind his food truck business. At the same time, he also wanted it to be used for his catering business. That was kind of tricky because those two aims didn’t really go together, but they were able to pull it off. The result was unique looking food truck that can draw people’s attention. Caged Crow Fabrication considers this bus one of their largest conversion projects so far. As you can see, using an old school bus is a viable option for starting a mobile food business. But it’s not the right option for everyone. If you operate in a populated area like Los Angeles or New York with limited parking spaces available a bus would not be the best option. It would be extremely difficult to find a place to park downtown while driving a bus. Always consider your location and business needs before moving forward with a bus! You may be surprised to learn there’s an entire community dedicated to bus conversions of various kinds. Some folks have converted the units into mobile kitchens of course, but others have been converted into tiny homes or RVs. There’s even an entire community of folks dedicated to living the bus lifestyle. If bus vending or living sounds compelling, check out the resources below to get connected with this growing community. Food Skoolie Group – Greg Messer, owner of the Groovy Grill Bus, runs this awesome private Facebook group dedicated to the topic of operating a mobile food service from a school bus. You’ll need to ask to join, but it’s a great way to connect with other food bus business owners, ask questions, and learn what it takes to operate this type of niche business. Bus Turned into a Tiny Home – This video from BusLifeAdventure.com shows the conversion from a bus into a tiny house. Check out BusLifeAdventure.com as a starting point for school bus or van conversions of all kinds. Skoolie.net – This School Bus Conversion Network is a very active forum on the topic of converting, living in, and talking about skoolies. This community has extremely detailed threads ranging from electrical, plumbing, mechanics, and good camping sites for buses. Reddit – Naturally, there’s a Reddit thread on this topic too!